The Black Sparrow is burrowed underneath the cinematic happening of The Embassy. With a wide selection of cocktails, fine wines, craft beers and imaginative non-alcoholic options our friendly staff can create you the perfect drink every time. The Courtenay Place transport hub is located just across the road, with frequent buses and taxis readily available. Parking is available in the surrounding streets. Please note time restrictions apply. Be sure to check street signs. When we're not hosting the occasional World Premiere you can find us screening the best in mainstream, arthouse, home grown Kiwi and Retro films right in the heart of Wellington's CBD. Surrounded by original 1920’s architectural magnificence, The Grand is the Embassy’s first and most impressive auditorium, with the super luxurious Platinum seating area. 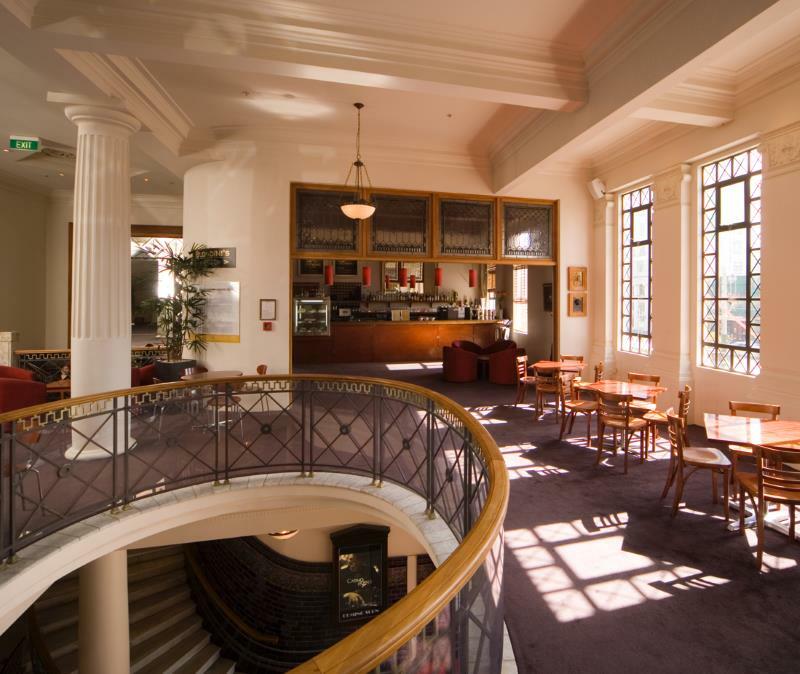 It is also home to Wellington’s only DOLBY ATMOS thirty-six speaker surround sound system. Transforming your cinema visit into a completely unique immersive experience. Nestled within luxurious Black Sparrow Bar, these intimately sized cinemas combine living room comfort with retro glamour, with art deco inspired fittings and plush leather seats.